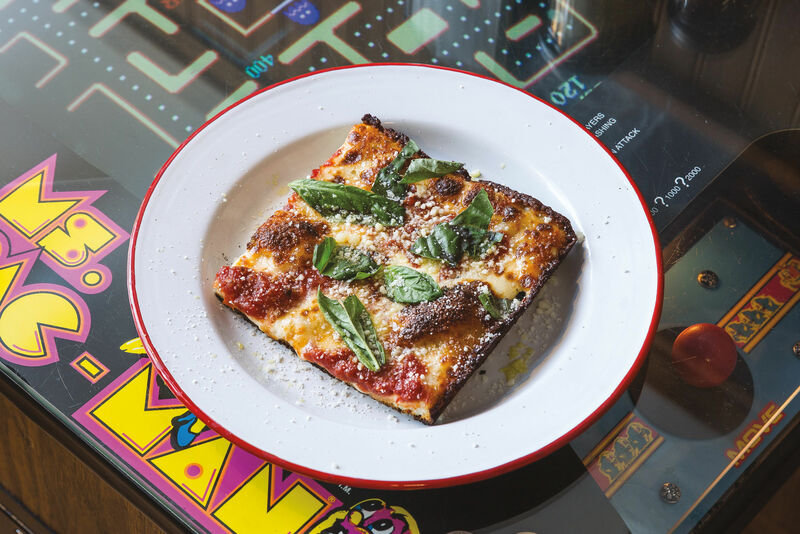 To help you find the perfect pizza with the perfect crust, check our recommendations for Portland's best pizzas. Pre-baked cornmeal crusts await their fillings at Dove Vivi. TO THE ANCIENTS, nothing in geometry matched the circle’s perfection. In an age of pesto bases, pineapple slices, and taco toppings, even the most daring pie-lovers appreciate the traditional disc. 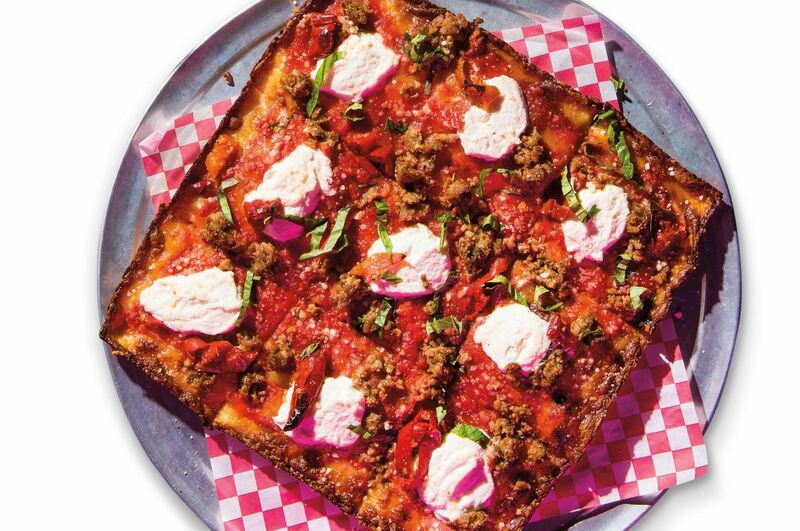 Thus, instead of simply accumulating a more exotic or colossal tower of toppings (though they’re doing that, too), some Portlanders tweak—and in some cases reinvent—the wheel itself. Dove Vivi co-owner Delane Blackstock. According to legend, the recipe for Dove Vivi’s cornmeal crust was stolen decades ago from a renowned SoCal pizzamaker by an insane colleague. Eventually, by a circuitous route, the crust ended up in the possession of owners Delane and Gavin Blackstock. There remains something distinctly mysterious and foreign, perhaps even … Californian, about this crust, but it is inarguably good. An amalgamation of locally milled cornmeal, olive oil, salt, and yeast results in a half-inch-thick slice, elaborately textured and slightly crispy. Once you’ve sunk your incisors into a slice of Dove Vivi’s cornmeal pie, you’ll forget about the recipe’s nefarious past. Denying yourself a second slice of these stolen goods—now that would be insane. The Perfect Pie: Exotic options abound (Thai yellow curry? ), but choose a slice where the crust is the star, like the Three Cheese. Last summer, when Scott Davison, 38, took over this downtown lunch cart from John Eads (now of Pyro Pizza), he set about perfecting his crust with an artist’s devotion. Using 80 percent sourdough culture and 20 percent whole wheat flour, he’s devised a dark, hefty, but balanced crust that’s both burned on the outside and tangy and chewy on the inside—all without the coveted wood-fired oven. 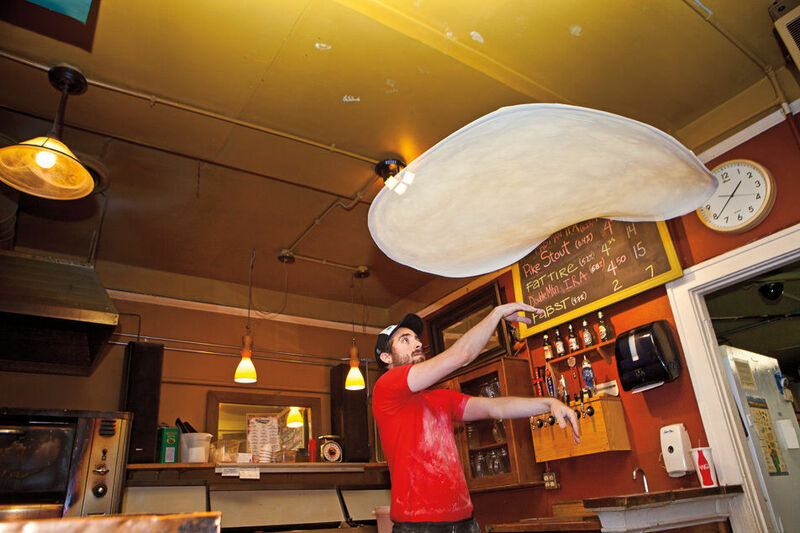 And while he’s religious about ingredients (he always gets his organic whole wheat flour from the same Idaho farm), Davison’s mission is to bring pizza back to its unpretentious roots, one piping-hot slice at a time. 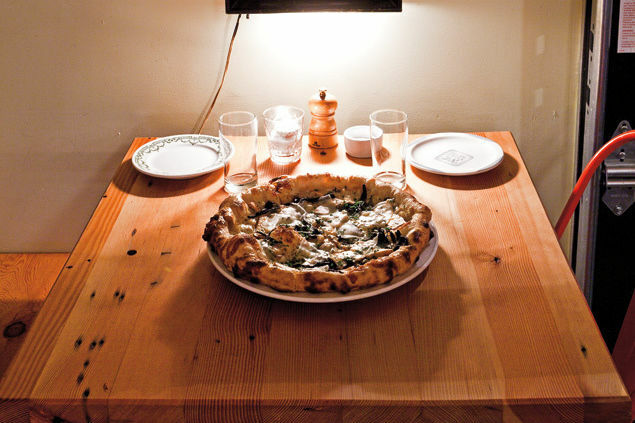 In the age of dietary restrictions, sharing pizza can be an anxiety-inducing affair. 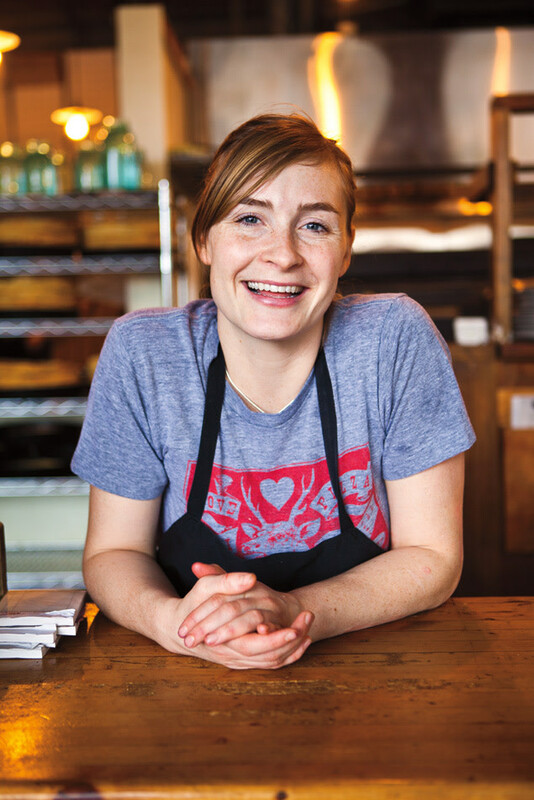 Enter the Sellwood Pizza Kitchen, a bright mom-and-pop shop that manages to please both carnivores and vegans with a diverse cast of ingredients perched atop one of the crispiest gluten-free crusts around. 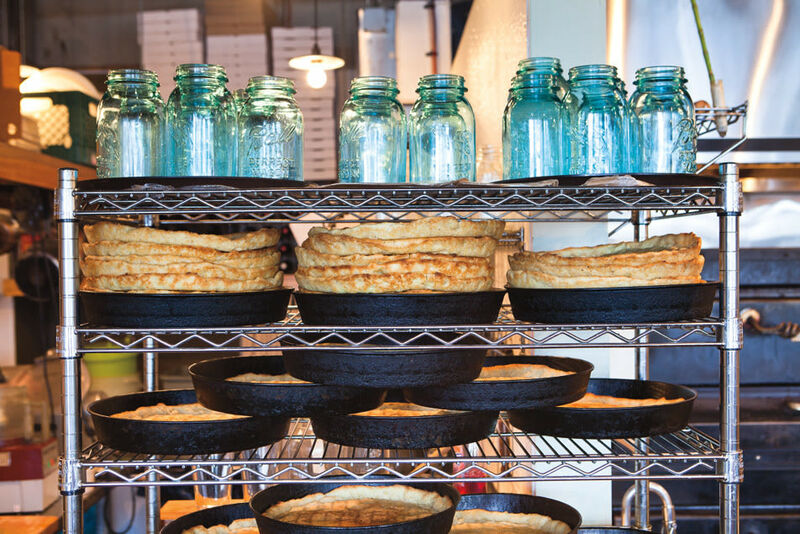 Longtime Sellwood residents, owners Dale and Diane Parrish use a mix of rice flour, spices, and oil for the gluten-free pies. But the key to the crust’s surprising lightness and crispiness, Dale says, is in knowing the right oven spot. He is so confident in his oven alchemy—he claims even people who aren’t on gluten-free diets request the crust—he’s planning to package his masterpieces for retail sale, Boboli-style (but better). The Stromboli Vendura from Al Forno Ferruzza. 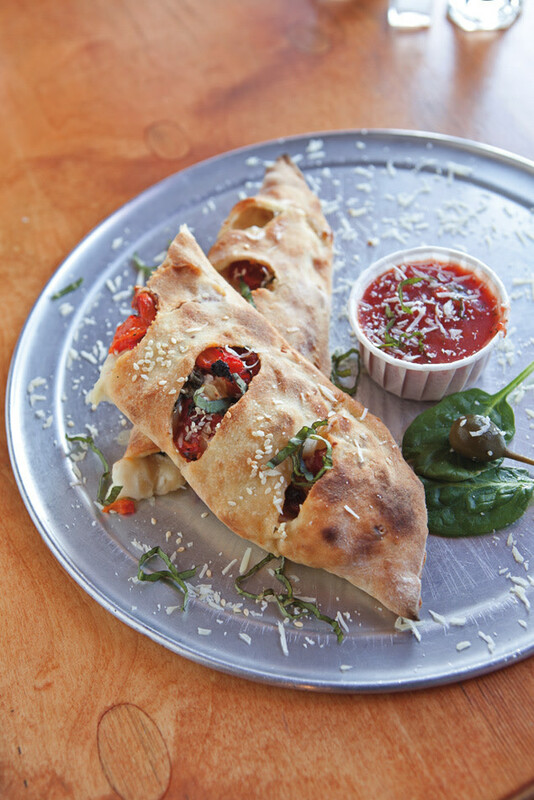 The calzone, a crescent of dough stuffed with savories, is more than just a folded pizza. When done right, it’s a pillow of warmth that makes every bite feel like the first. 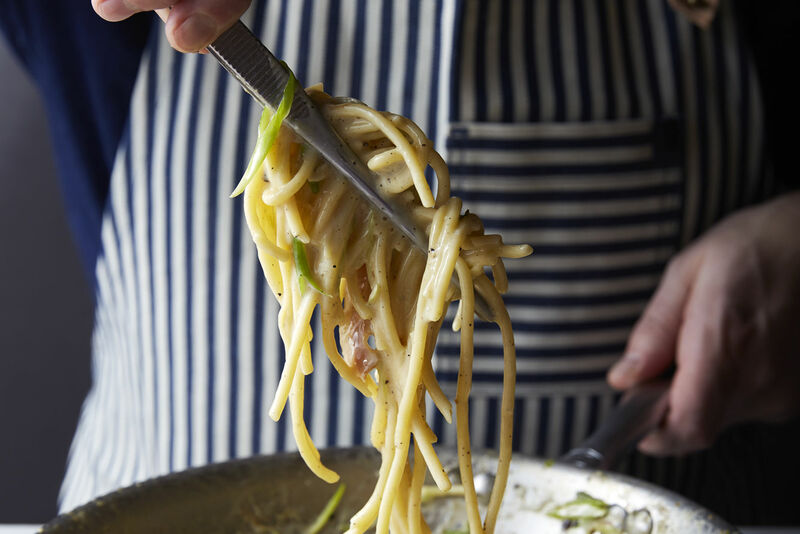 Al Forno Ferruzza—equal parts Northwest hippie and Italian tradition—churns out surprisingly authentic versions. Hailing from Sicily via upstate New York, the father-son Ferruzza team honed their calzone skills on a wood-fired oven they built in an Appalachian forest. But the star at this homey Alberta eatery is the calzone’s cousin, the stromboli, a pouch of mozz and vegetables basted with olive oil and slit gently on top. The dish is in the Ferruzza genes: it originated on the eponymous volcanic island north of the small Sicilian town where the elder Ferruzza was born. 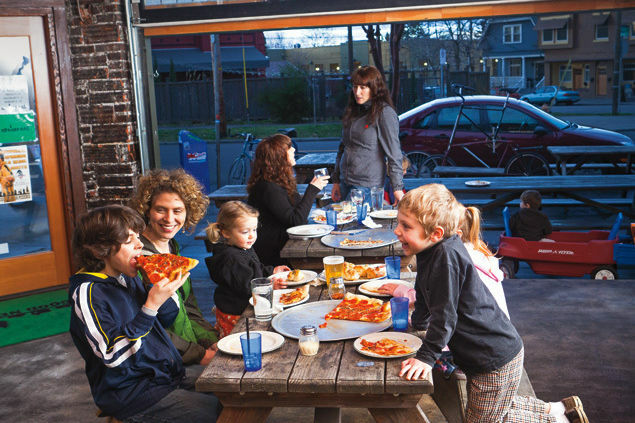 We've got recommendations for where to take your starving family for a primo pizza feed. Our pizza experts are here to help simplify your search for the perfect pie. 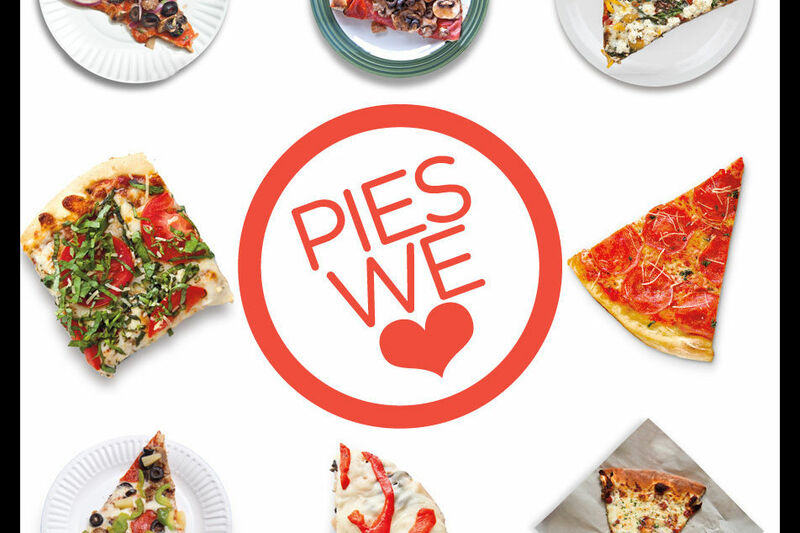 Sink your teeth into one of these hidden gems and claim your new favorite pie. The search is over. 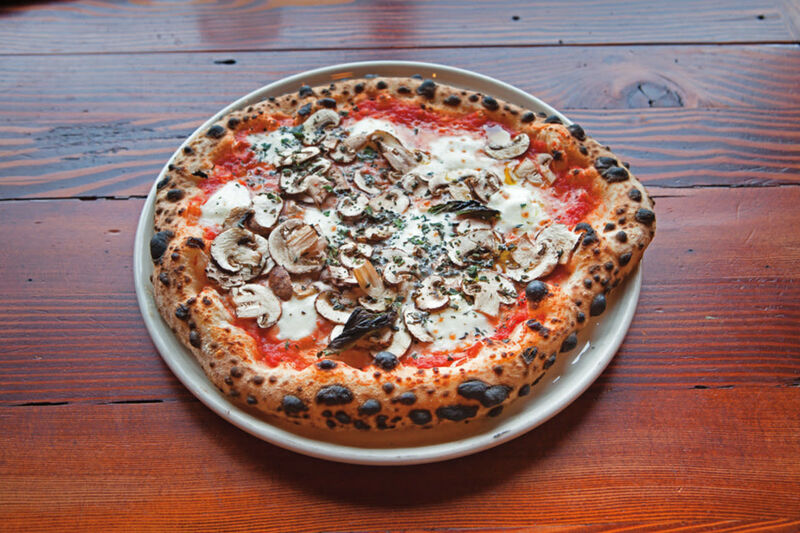 We've got the list of all the best pizzas from around the Portland area. 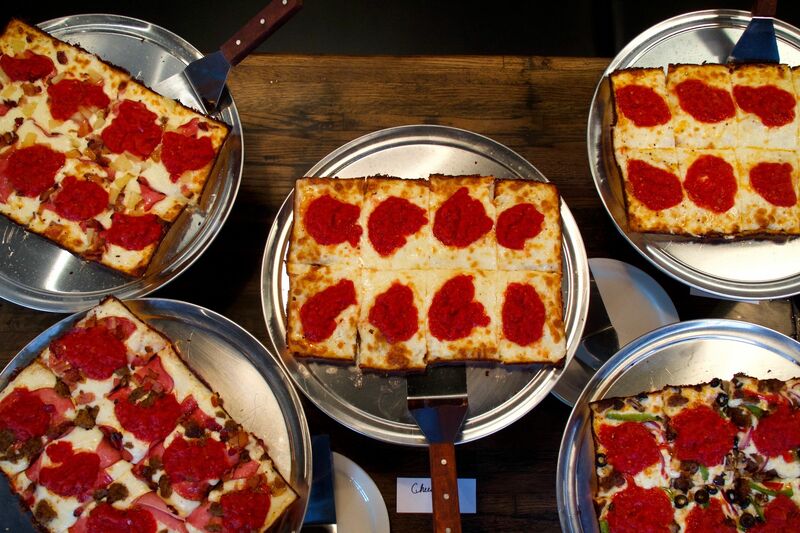 Find a new sensational gourmet pizza pie in your neighborhood.